We are now at the countryside in rural Japan about three hours from Osaka. It is gorgeous, the scenery is like straight out of a Miyazaki movie. Our hosts Taeko-san and Toshi-san are super lovely, their house is right next to the one we have rented. 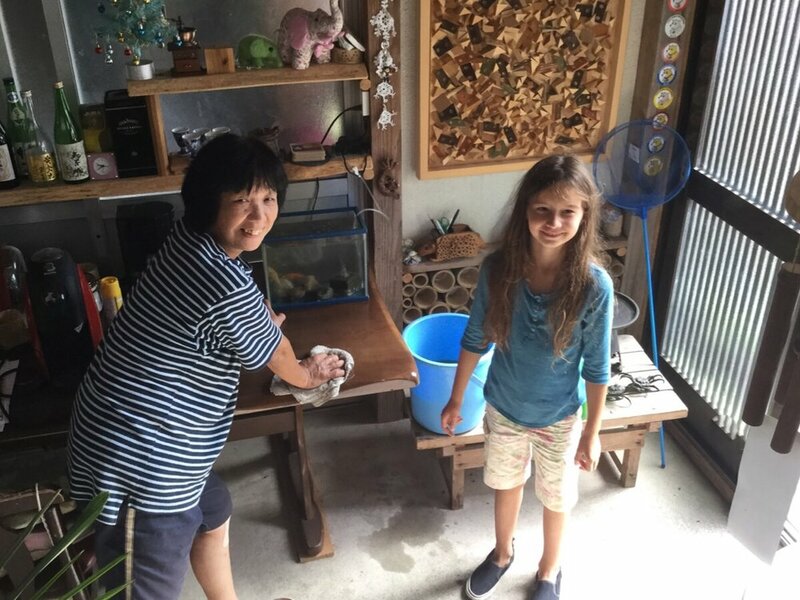 Taeko-san has invited Lili to participate in regular morning chores and today they cleaned out the Koi tank! Amazing to watch how all this comes about with almost zero language in common. We look forward to many more mornings here.